Place the tomatoes, onion, chile, cilantro, lime juice, olive oil (if using) and salt in a bowl and toss well. Let it sit for at least 5 minutes before serving. Store any leftovers, covered, in the refrigerator. Hey Martina! Thanks for your message! There are as many Pico de Gallo Salsas as there are cooks, really. This one is a traditional one from the central area of Mexico but there are picos of all kinds, the main characteristics being: there are usually chopped raw ingredients, citrus and some kind of chile! Pati – I really enjoy your show and your cheerful enthusiasm for the food you are preparing and your wonderful family. I have written WYES New Orleans and asked them to carry you again, and I really enjoy your cookbook. Can y put more videos please! I am new to watching your TV program, and now DVD it, so I won’t miss a single show. 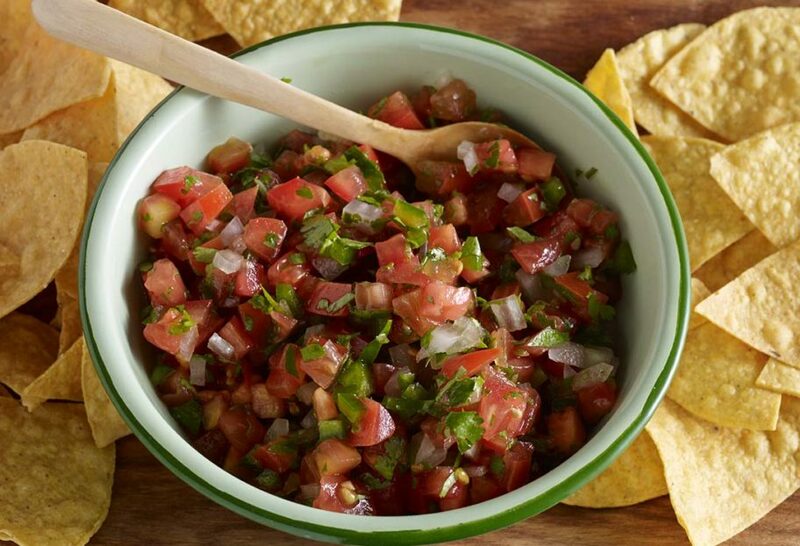 I have made salsa for years, but have never been able to make a really delicious Pico di Gallo, until now. My husband and I both love it. It tastes as good, if not better than the salsa we have eaten in Mexico many times. Muchas Gracias, my friend.